Dawn Hubbard has spent the past eleven years as the Director of Safety and Security for a small college in Southern Vermont where she manages, supervises, and engages in activities to ensure the safety and security of the college community and the campus physical plant. Some of her duties include scheduling, budgeting, strategic planning, development of standard operating procedures, conflict resolution, fire and life safety. She holds the position of Emergency Management Director for the college Emergency Operations Center involving leadership of the Operations team during times of crisis or disaster, planning the development of emergency operations and programing. She maintained a position of member of the Staff Council for two years as Secretary and Vice-president. 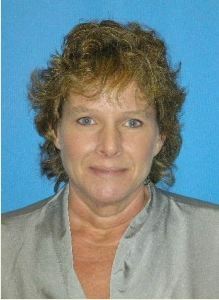 In connection with the emergency management position she spent two years as the Emergency Management Director for the Town in which she resides focusing on the Radiological Emergency Response Plan (RERP) for the Entergy Vermont Yankee Power Plant as well as natural disasters, managing a staff of seven and budgetary activities relating to the RERP program. She maintained training and certifications required for the position to include the State of Vermont Emergency Management Director Level I certification. Dawn also spent three years in the Vermont National Guard leaving the service as a Chaplain’s Assistant. She was responsible for the administrative support the Chaplain and his ministry through coordinating the Unit Ministry Team activities, maintaining physical security of Team facilities/equipment, safeguarding privileged communications and offerings; arranging religious retreats and memorial ceremonies while supporting the Team readiness program, with secondary responsibilities of serving as a field soldier as needed in times of war or national emergencies. She obtained a Master’s degree in Justice Administration from Norwich University and a Bachelor’s degree in Liberal Studies from the Vermont College of Norwich University. Dawn lives in Southern Vermont with her husband. Her grown children are currently obtaining their own higher education degrees.